I'm against having pop-up ads and banners, but if you'd like to support this site ($$$) => please click through & shop at our affiliate links. Thanks for your continued participation and support. 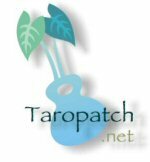 Selected songs from Taropatch.net members can be heard at Soundclick.com.